which ensures the consistent quality of our product. allow us to produce quality wines. is a testament to Lydie’s knowledge and expertise. and by the independent Winegrowers Competition. well-being and serenity are the order of the day. Lydie and Arnaud BILLARD, winemakers and champagne-growers, from the fourth generation of BILLARD Champagne, run the Dom Bacchus vineyard with passion and skill. Located in the heart of the Marne Valley, near Epernay, the estate covers eight hectares of vineyards, under the Champagne appellation. The southern exposure of our vineyards ensures our grapes are of premium quality.Our vineyard works in harmony with nature. From vine cultivation to the production of Champagne, we respect the environment. Our Champagnes have been recognised for their excellence by the most distinguished guides (Hachette, Gault and Millau) and by the Independent Winegrowers Competition.The blending of a variety of different cuvées is a testament to Lydie’s knowledge and expertise. Our vineyard also has a selection of charming guest rooms. 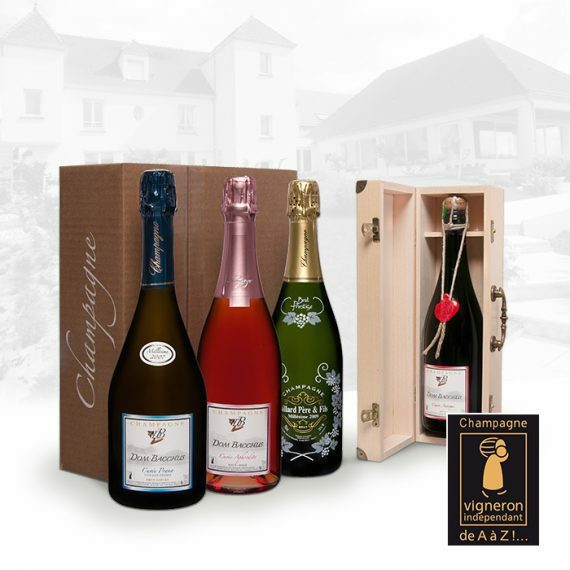 You can also visit our miniature vineyard museum, the only one in Champagne. Come and enjoy the luxury of the Bacchus vineyard, the pleasure of its fine wines and discover the wonders of our region.